More names have been added to the programme for the North Sea Jazz Festival (13-15 July 2018). Peter Bacon browses. The customary rich variety of what is on offer in Rotterdam during the weekend of the North Sea Jazz Festival continues to expand with the latest tranche of names just released to the media. 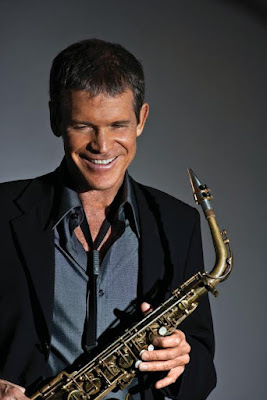 Among the new additions are David Sanborn’s Acoustic Band, Jasper Høiby’s Fellow Creatures, Tord Gustavsen’s band featuring Simin Tander, Nate Smith’s KINFOLK, the Ramón Valle Trio, Keyon Harrold, The Roots, the Mike Stern/Randy Brecker Band, Jazzmeia Horn, Moses Boyd’s Exodus and Anderson .Paak & The Free Nationals. Added names from the UK are Sons of Kemet, GoGo Penguin and Nubya Garcia. Other additions are BADBADNOTGOOD from Canada and Rohey from Norway. North Sea Jazz Festival 2018 runs from 13 to 15 July and takes place at the Ahoy Centre in Rotterdam which can be reached in less than an hour by plane or, for the first time this year, the twice-daily train direct from London St Pancras International to Rotterdam Centraal, taking just 3hrs from city centre to city centre. Day tickets for NN North Sea Jazz Festival are on sale now and all-in tickets are available from the end of April at www.northseajazz.com/en/tickets.